Spring is an explosion of new foods in Britain. After the heavy and sleepy foods of the winter, the arrival of the lighter, brighter foods of the new season is a joy to behold. You have to love April in Britain even with its changeable weather. The evenings are longer as British Summer Time has begun and everything in the food world is going green. After the predominantly dull colors of winter foods come sparkling spring salads, deep-toned watercress leaves, spiky and hot, early rocket, chard, chives, and coriander. If you do happen to wander down to the woods or a babbling brook, April is the month for the king of the spring green leaves, wild garlicIf you are worried about picking the wrong leaves, the soft garlicky scent in the air wherever Wild Garlic grows is the first clear indication you are correct. The leaves are long and slender, resembling Lily of the Valley, but a gentle squeeze will release the garlic aroma. The leaves are at their best before the plant flowers and can be used to liven up sauces and mash, or whizzed into mellow flavoured soups. There is no way to say ‘food’ and ‘April’ in the same breath without a mention of asparagus. 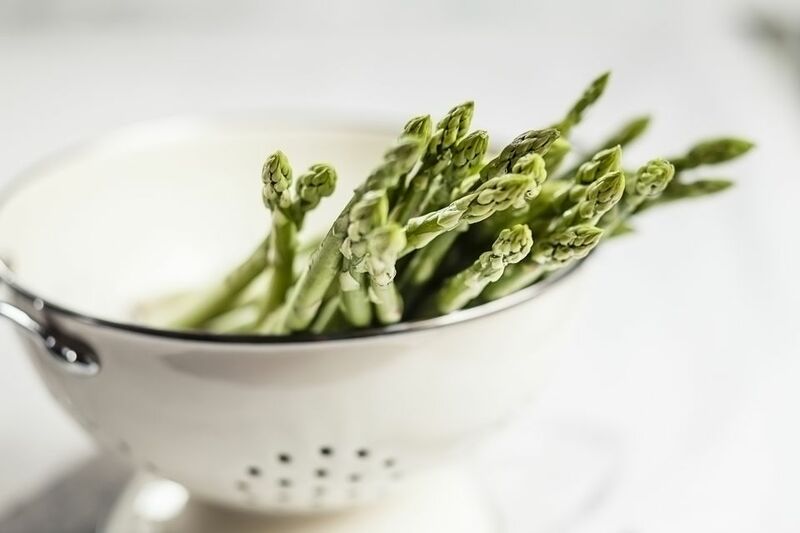 British asparagus is one of the highlights of the culinary year and, if you are in the south, you should be able to get your hands on young spears first. The official start of the asparagus season is usually late April and the season ends 12 weeks later. Asparagus is up there as one of the most versatile ingredients in the kitchen. Steamed, boiled, griddled, roast, barbequed, thrown in a salad, baked in a tart or an unusual breakfast muffin: the list is so long. Apart from the greens, look around, and you will also find crab, and John Dory are particularly good right now. And on the meat front, spring lamb. This is the meat for Spring. 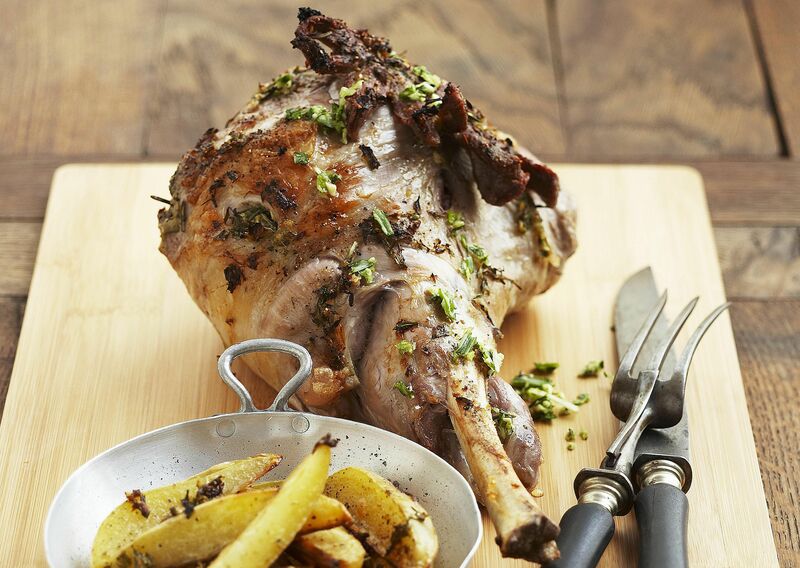 Young, tender lamb is the first seasonal meat of the year and is the favorite of the Easter table. Roasting is by far the best way to cook the lamb, because of the tenderness long, slow cooking is a waste. However, always leave the lamb to rest after roasting to release the juices (needed for the sauce) and for the meat to relax and create perfect tenderness. Foods are just beginning to lighten a little in the late winter and early spring, so recipes will still be on the comfort food side, so expect soups, pies, crumbles, stews, and roasted vegetables. Salads are still a little way off.